WELCOME TO THE OFFICIAL IRISH HAWKING CLUB WEBSITE. The Irish Hawking Club is dedicated to the sport and practice of Falconry and to the dissemination of knowledge of birds of prey. 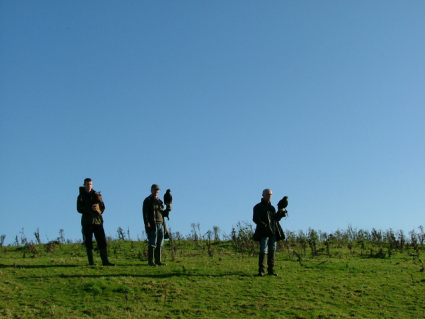 Membership is open to those who support or practice the pursuit of falconry to the highest standards and traditions. If you are new to falconry, our beginners section will give you an idea of what's involved in pursuing your interest in falconry in Ireland. If you would like to become either a practising or support member of the I.H.C, please go to the membership section where a membership form can be downloaded.